We love Alicia. Her sire is TnC BB King o' the Hill who has moved to Germany. Her dam is an Iceman daughter, one of our favourites on the farm. She is a lot of special wrapped up in a small package. She has good solid bone structure, beautiful head and a fleece to die for. Alicia is an excellent example of what BB can produce! 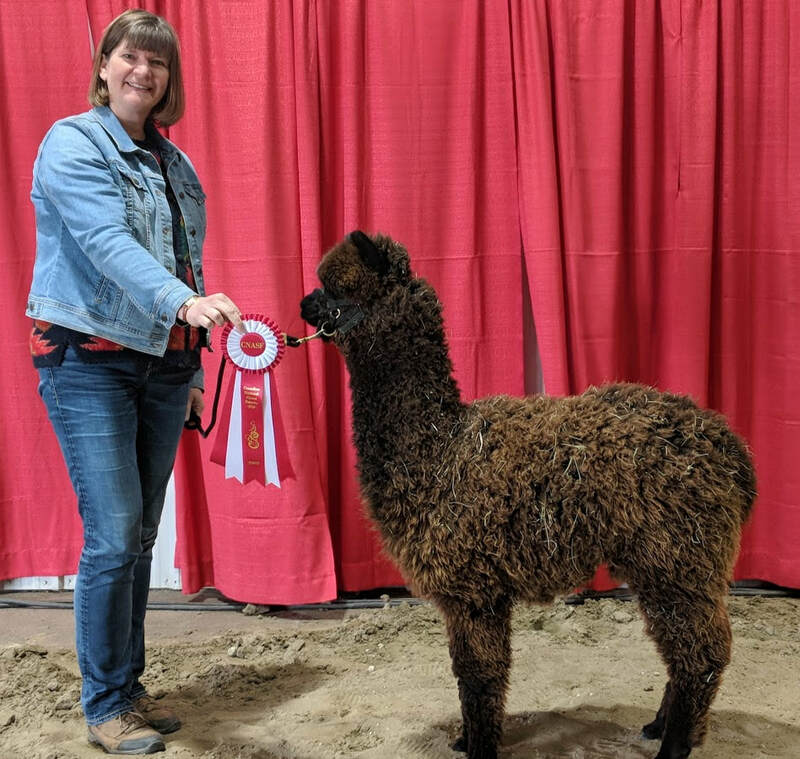 Alicia recieved a 2nd at her first show in Lloydminster. In 2014 Alicia recieved Reserve Colour Champion in Lloydminster. Alicia has had 2 crias to date. 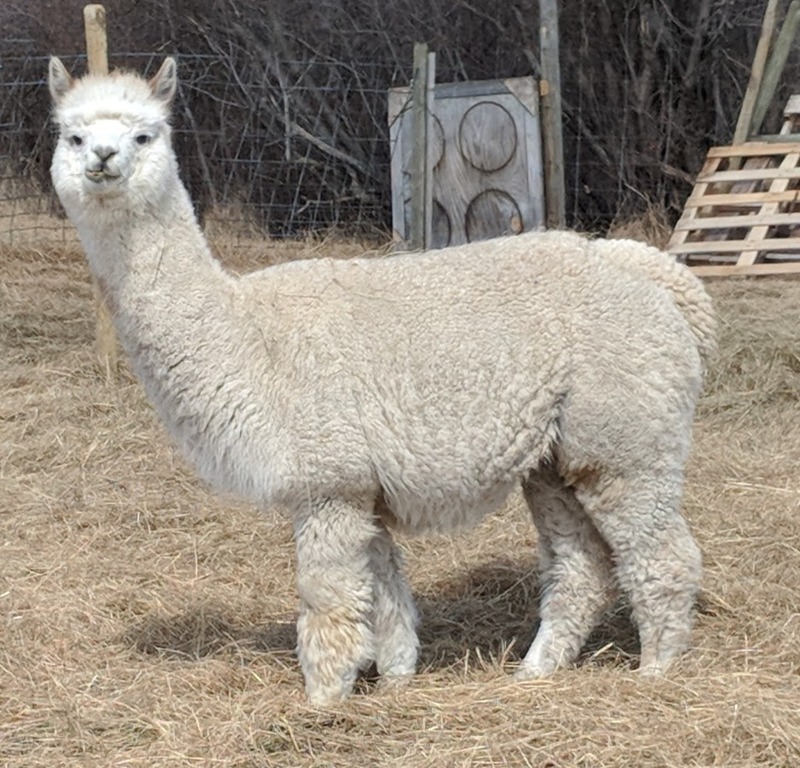 Her first is a light fawn female out of a grey male, her second a black male out of a black herdsire, Rocky Pines Mazarotti. Alicia had a little girl this year with Blue Moon McDuff and we are pleased once again with what she is producing. 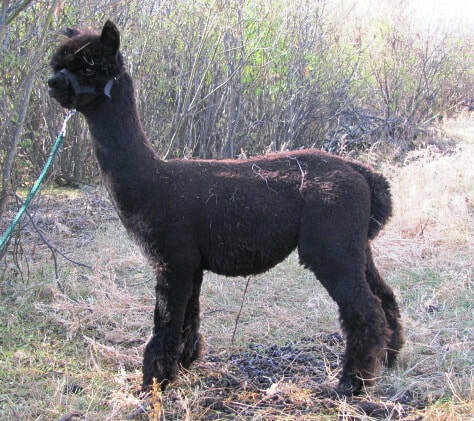 This little cria has so much shine to her fleece.